>Tuesday, March 12th it was the American Idol season 7 top 12 performance night. The contestants were performing songs written by John Lennon and Paul McCartney. I watched the full two hours of the unnecessarily long top 12 performance night. As a Beatles’ fan, I was looking forward to this night. But I forgot it was American Idol and not and all star karaoke night. The contestants thought they had to twist and thorn the songs in order to impress the judges because we all know that American follows the judges when the time comes to vote except in those rare cases when the contestant is Oh so cute or Oh so original that the viewers just want to see more of him even when he/she fails to impress with his/her vocal skills but I digress. Some songs are beautiful enough that you are better off just doing a karaoke version than trying to make it your own. Besides you’re already singing it with your own voice that should be enough to make everybody feel your personal grain of salt. I’ll start with Brook White’s performance. Brook White sang “Let it be”, she bought Sergeant Pepper’s lonely hearts club band album when she was younger- I have that album too -. She does not do the song justice. I think her voice is not strong enough. She changes the notes but it’s hard to tell whether it’s her personal touch or just a pitch problem. I think she did an awful job. It’s a beautiful, timeless song, she messed it up. Ryan , talks a lot, I don’t think he really said what he believe, but in the end he said he loved it. Paula , felt an emotional connection bla bla bla…. Simon , thought it was one of the best performances of the night, ” brilliant choice of song , it’s believable. ” what?! I really didn’t like it, I’m sure I’m not the only one. She said, “this is it“, after her performance. I guess she’s not aspiring to become “the idol” because she believes she’s already where she was aiming to be. David Hernandez sang ‘I saw her standing there‘. I don’t really like him. He does not look or sound authentic. He’s a bit country and pop. He sings with ease but really he can’t help looking uninteresting to me, almost like he’s pretending something. Please give me Michael Johns next, I can’t take any of this anymore. I like the fact that he’s confident and reacts maturely. The guy knows exactly what to say, he’s dangerous or very efficient or both. This guy can go far even if he does not go for a career in music. Amanda Overmyer, I’m not a big fan of hers. The contrast between her talking voice and singing voice is huge. 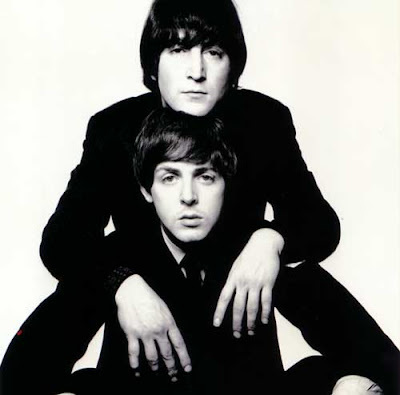 She saing “You can’t do that” from “A hard days night”. She reminds me of the Adam’s Family. She’s just shouting the song, it’s not easy on my ear at all. You can still hear the Beatles in the song. It’s not a song I know but it’s so obvious that’s it’s from them, even with the “Amanda spin”. Ryan , ” Beatle song to southern rock, very cool “. Paula , ” you look fantastic, she’s blown away cause this is the best season“. Simon doesn’t think it was as good as last week- that’s the least I would say -. Michael Johns, was next, finally! He’s cute, in a nerdy kind of way. He sang “Across the Universe”. Not sure it’s a good song for this competition, it’s completely slow, I was worried it would probably sound too old for most people. Michael is a very strong singer but he has no clue of what he’s supposed to do while he’s singing. His performance was a bit short but I love Michael! He even says thank you at the end, a nice guy who knows he’s safe for at least one more week. Ryan ,” good, ok for him , a little sleepy“. Paula ,” brilliant performance“. Women can’t resist Michael! Simon , ” you should have done something like Carly.“. He’s still a big fan of Michael but he’s not overwhelmed by the performance. Once again Michael Johns is sweating like a pig. I wonder if I would have liked him as much if he were American instead of Australian? Maybe it’s the accent or the way he says G’day! kristy Lee Cook, she’s all about impressing Simon. She sang “Eight days a week”, country style. She looks like she got her clothes out of a thrift shop. She reminds me of “spiritual Cindy”- can’t remember her name – from “Grease, you’re the one that I want” on NBC. Her jeans really looked awful. Ryan , ” …wild for me. half and half“. Paula didn’t enjoy it, she didn’t get it. Simon thought it was horrendous- that’s what you get for trying to impress Simon Cowell- . I guess country is not Simon’s thing. According to Paula Kristy has a large fan base that should keep her safe for next week. David Archuleta sang “Wee can work it out”. It’s a good song, at least one that I like. Unfortunately David kills the song. He even forgets the lyrics in the first sentence! No he didn’t? Or maybe I just didn’t hear what he was saying because he’s cutting the words. David Archuleta is a pop singer, definitely. There’s something missing… I guess he didn’t really realize what the song was saying. He made the song sound meaningless. Ryan ,” not on point. very forced, didn’t work for him“. Paula thought this was not his best week, but ” we love you“. That’s the kind of thing they would say to Jordin Sparks last season. Simon thought it was a mess, he stumbled on the lyrics, it was his weakest performance so far. He said that he had to be fair to other contestants. David’s problem is that he let everybody know how nervous and unprepared he felt to sing a Lennon or McCartney song so they expected to see his nervousness and unfortunately for him it showed right in the beginning. Syesha Mercado performed first and she was was so-so. Ramiele did a very good job but the judges were merciless with her. Jason Castro is cute and he chose a cute song so the girls are going to vote for him even though his performance wasn’t great. Carly Smithson is good even I like here. Jason Cook over-rocked his song, as always. Brooke White whispered her song and cried after her performance, nothing new there either. David Hernandez…. whatever, he chose a boring song. Amanda Overmyer was overconfident. Michael Johns was good and chose a nicey-nice song. Kristy Lee Cook sang a weird country version of a song… maybe she’s the one going home. David Archuleta forgot his lyrics but he was well dressed and stayed cute so I guess he’s safe. Oh wait, I can’t believe I forgot to say something about Chikezie, I’m not a big fan, he did a lot of noise with a song, he was very confident and the judges loved it so he’s very very safe. As much as I don’t want to see Kristy go home tonight I’d rather see her go than having to say bye to Ramiele who is still my favorite female contestant. Ramiele Malubay dedicated her song to her friends who’ve already left the competition. Was it her way of telling them that she’ll come and join them soon? Many people seem to think that Kristy Lee Cook is the one to go tonight. The judges crushed her last night so that might be her faith. This entry was posted in American Idol, Kristy Lee Cook, Ramiele Malubay by admin. Bookmark the permalink.